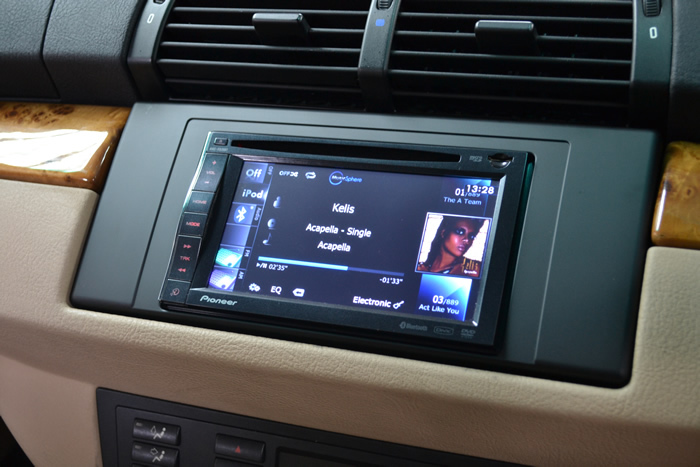 This BMW had a basic Business radio fitted, we installed a Pioneer AVIC-940BT touch screen system and fully integrated the system into the BMWs complex car systems. The original BMW steering wheel controls were fully integrated, to include the phone button on the wheel. We also coded the BMW to clear any errors that would normally be present when you remove the original radio.